Being stupidly susceptible to the powers of product placement (*ooooh something shiny*) and advertising, I recently bought a bag of purple potatoes. Anyone who has ever made playdough will know what my thoughts were as I made it! Although it is a little off putting in colour, it doesn’t really taste of anything at all. Found I had to really season it to get any taste but with half a ton of butter, salt and pepper it just tasted like, well, mashed potato! They are called Purple Majesty and I got mine from Sainsburys although I’d imagine the other supermarkets sell them too. Oh, and according to the BBC they are really good for you too as they contain 10 x the normal level of antioxidant, anthocyanins compared with white potatoes! Read more here…. ewww Nope – don’t think I could persuade myself either. Might be easier as chips? Have a feeling I may not be buying them again! Ooh … purple potatoes. Does it have to be mash. Wicked ideas for jacket potatoes on Trick of Treat day. Mind you if I decide to learn from your experience perhaps I’ll just divert my purple funds in more purple underwear. Which reminds me, I’m going to change my avatar for halloween. I think purple fries or jackets would look cool. 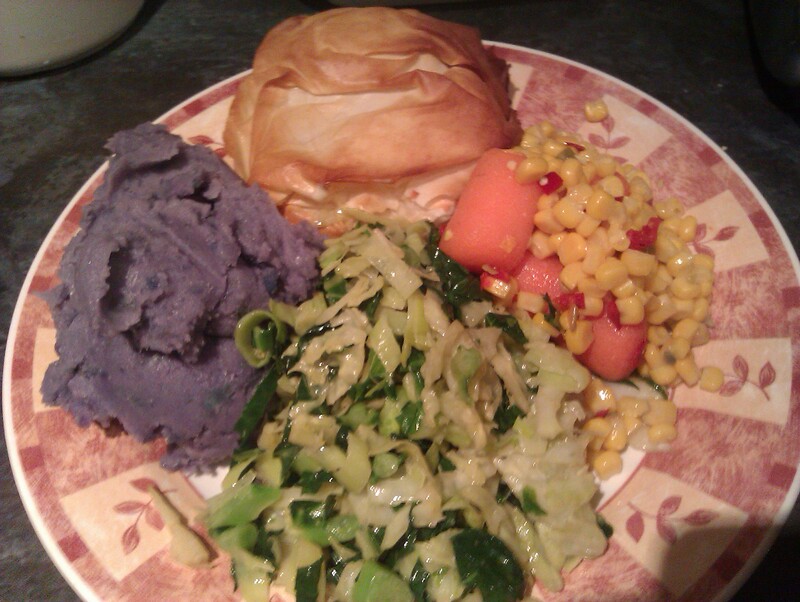 The mash just looks…wrong, but then I’m a root vegetable traditionalist. Next you’ll be telling me you don’t like root vegetable crisps? Beetroot crisps rule, and they are also purple. I have never heard of them – where did you but them from? Oh, it’s real! I thought it was a food colouring infused Halloween thing. Yep they’re real alright! Don’t think there would be enough food colouring in the world to make them THAT purple! !0 times the good stuff, and no taste at all! lol! 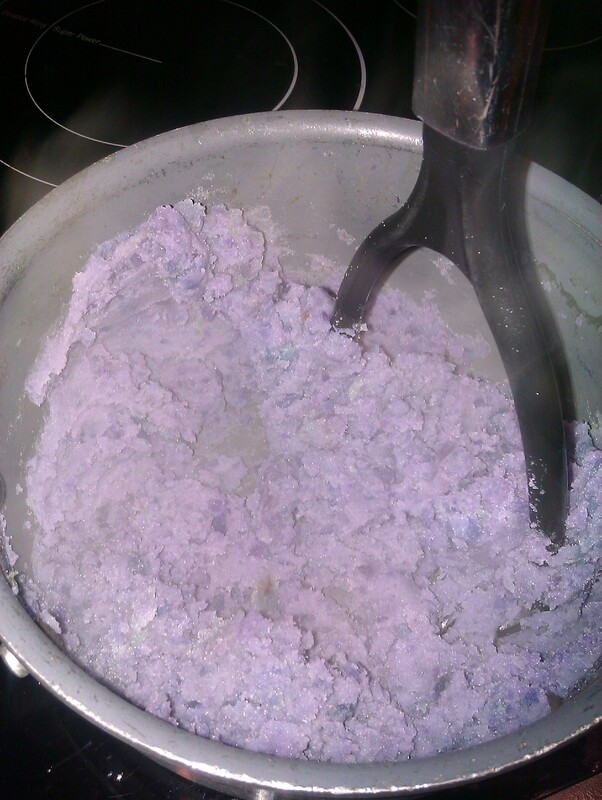 I’d have thought kids would be all over purple mash! An Idea Which Just ‘Might’ Save The Planet? State of the planet – do we blame the older generation?